Hey, it’s your birthday today! Happy Birthday! 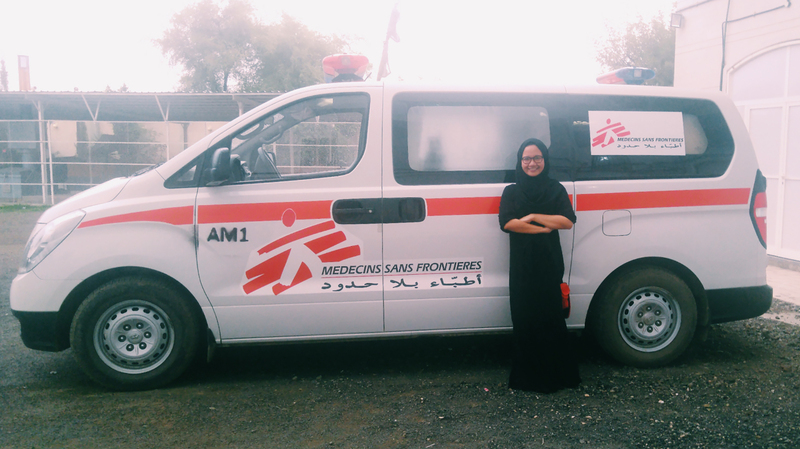 When I arrived in Taiz, Yemen in April 2016, the war had been going for more than a year. It started with what they call the ‘Battle of Taiz’, nobody knows the direction of the war nor how long it is going to last. During my first trip from Sana’a to Taiz, the damaged streets and ruined buildings along the way were obvious signs that the war has taken its toll on this beautiful country. The traffic slowed down while passing a check point. I remember I was observing a soldier who was standing on my side of the window when he suddenly started open fire to a car across the street. Our driver stopped, as I looked around with terror to the other passengers in the car. For seconds that felt like a lifetime, another soldier signaled our driver to continue to drive and leave the check point. As I came from a place and time of peace, the idea of being inside an active war didn’t register very well in my head. I had never seen a gun so close in my life, let alone a firing one, and my first reaction was to flight. I remember I was planning to book the first flight home and never look back. I was stationed as the doctor responsible for Pediatric, Neonatal and Nutrition Wards. On my first months there, I realized that the demand was increasing. With a lot of health facilities struggling during the war, sick children were coming to MSF Taiz Mother and Children Hospital often as their last resort. First flight home would have to wait. The hospital was swamped. We increased the capacity, opened up new rooms, recruited doctors and nurses, to facilitate patients and treat them with our services. Newborns, sick kids with all kinds of diseases, and malnourished children were coming daily from all over and beyond Taiz. One particular child that I remember fondly, was a 3-year-old girl named Malak. She was admitted for Kwashiorkor (a form of severe acute malnutrion). As SAM children need to be admitted for longer period of time to rehabilitate their condition, Malak grew bored and irritable. So I made promise to her that I will visit her everyday and she had to drink her milk. One day I overslept and skipped my visit. As soon as I woke up, I was rushing to see her in the ward. The nurse told me Malak was throwing tantrum all afternoon. Malak suffers from Congenital Glaucoma which means she couldn’t actually see me, but she recognized my voice and was angry because she realized I didn’t keep my promise. Until September 2016, the Department of Pediatric, Neonatal, and Nutrition of MSF Taiz MCH admitted more than 3000 children in the span of 10 months. This would not have been possible without the hard work of the Yemeni national staffs who I respect and admire deeply. Many of the people I worked with had bury somebody they knew in the result of the war. They cross the front line every single day, startled by the terrible sound of airstrikes and not knowing whether their friends and family would be safe, but continue their work and service for the children and people of Taiz. The day after the news about the airstrike in Abs Hospital broke out, I expected none of the staff would show up at work. How could you continue to work in a hospital while other hospitals were bombed? But they did. “It’s better to be at work, take my mind of things. Besides, I’m a doctor, I need to help,” one of the doctors explained to me. Before Yemen, I saw the war in a landscape perspective: on TV and far away. Nobody except the people whose country is torn apart, could present the spectral image of the forgotten and abandoned humanitarian emergency. As I spent 5 months with these very people, I began to realize that their life is not so much different than mine: they go to work, take care of their family, forever conflicted between going back to school or get married and have children. Except that it’s not the same at all. Except that the war has taken their life away from them and they just want to have it back. The doctors just want to be able to return to their homes without having to cross the dangerous front line, the nurses just want to be able to take care of their family without being in constant fear of guns and airstrikes. Each one of them just want to be able to move on with their lives in the beautiful country of theirs, or what’s left of it, when it is at last peaceful. Yemen and its people made their way to my heart and changed the way I see life. I am grateful to be given the chance to work with each one of the staffs, especially of the MSF Taiz Mother and Children Hospital. As my small plane ascended to the sky on the day I left Yemen, I pray for them: may the war be over soon, and may we meet again.